From Wikipedia, the free encyclopedia. 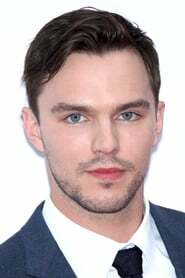 Nicholas Caradoc Hoult (born 7 December 1989) is an English actor, best known for the role as Marcus Brewer in the 2002 film About a Boy and as Tony Stonem in the E4 BAFTA winning television series, Skins. as "Hank McCoy / Beast"
as "Robert Harley, Earl of Oxford"
as "Hank McCoy / Beast (uncredited)"
as "Ralph Compton - 14 years"